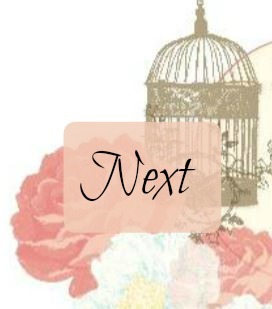 Welcome to another Simply Inked Team Blog Hop. This week we are focusing on flowers. We have so many flower offerings in our catalogues, that it was quite hard to choose what to use. 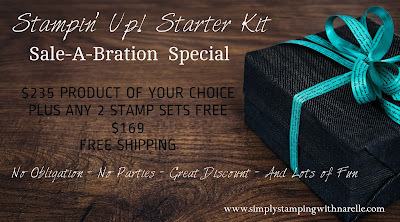 In the end I decided to continue with my Sale-A-Bration theme for the week. I used Avant Garden which is a FREE item, only available till the end of this month. I also used the Delicate Details stamp to create the beautiful background. I love the vintage feel that it added to the card. To see what Sharon has done, make sure you click on the big NEXT image at the bottom of this post. Here are the stamp sets that I used to create my card. Both are Sale-A-Bration items. Which means they are FREE with a qualifying order BUT only until the end of March or until stocks run out. First there is Avant Garden. I stamped the flowers using Versamark ink and then embossed them with White Embossing Powder. 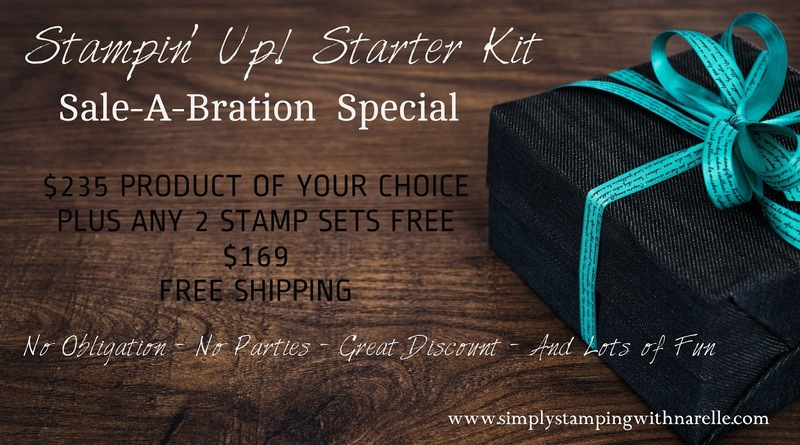 The background was made using this gorgeous stamp set, Delicate Details. If you are in Australia and would love to purchase any of the products I have used in this project, then just put through an order to the value of $90 or more. 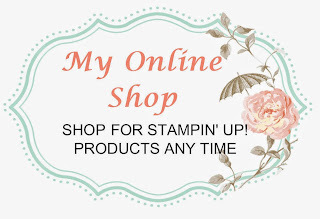 To order, simply click on the image below to browse my online store. You get a FREE item for every $90 you spend. Now it is time to pop over to see what Sharon has done. We would really appreciate it, if you could leave each of us some love by commenting. 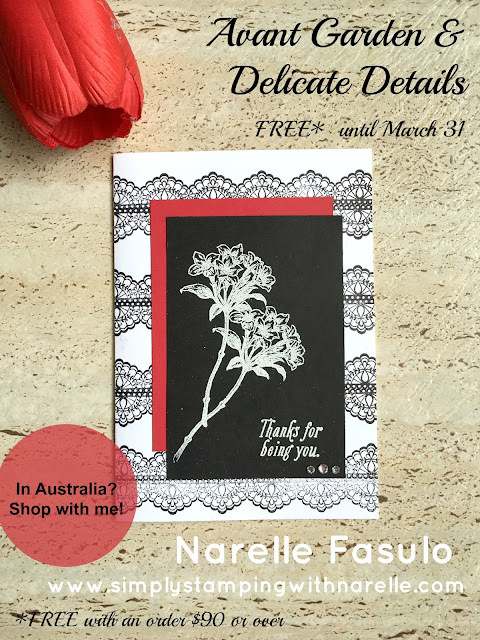 Narelle, lovely card. Love what you did with Delicate Details stamp set on the card. Just beautful.